As a pronoun they usually talks about a group of people, but it can also talk about one person. 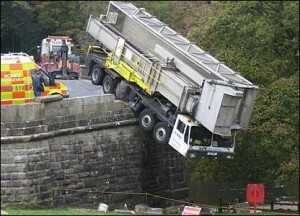 I don’t know who was driving the lorry, but they seem to have a problem. • They were all late getting home. • I don’t know who broke the window, but they are going to pay for a new one! • I don’t know who broke the window, but he or she is going to pay for a new one! Of course it doesn’t. So, we use they. Remember: They can mean one person. Complete each sentence with his, her or they. My aunt left ___ bag here when she visited us this morning. My aunt left her bag here when she visited us this morning. Aunt is a woman so her is the best answer here. Someone called for you today, but ___ didn’t leave their name. Someone called for you today, but they didn’t leave their name. Someone means one person. We don’t know if it was a man or a woman so they is the best answer here. My brother crashed ___ car. It is in the garage now. My brother crashed his car. It is in the garage now. Brother is a man so his is the best answer here. He told each person to order whatever ___ wanted. He told each person to order whatever they wanted. Each person means one person. But we don’t know if each person is a man or woman, so they is the best answer here.